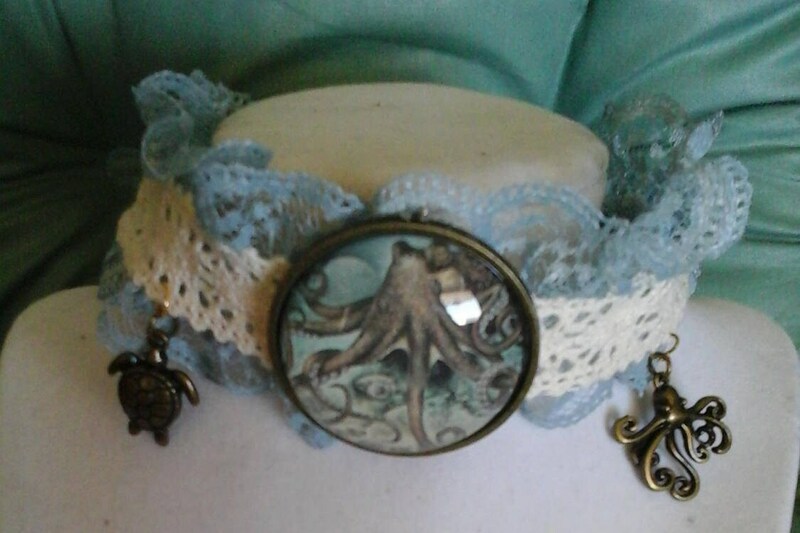 Octopus pendant and octo/turtle brass-like charms are enhanced by the cream and blue lace choker. 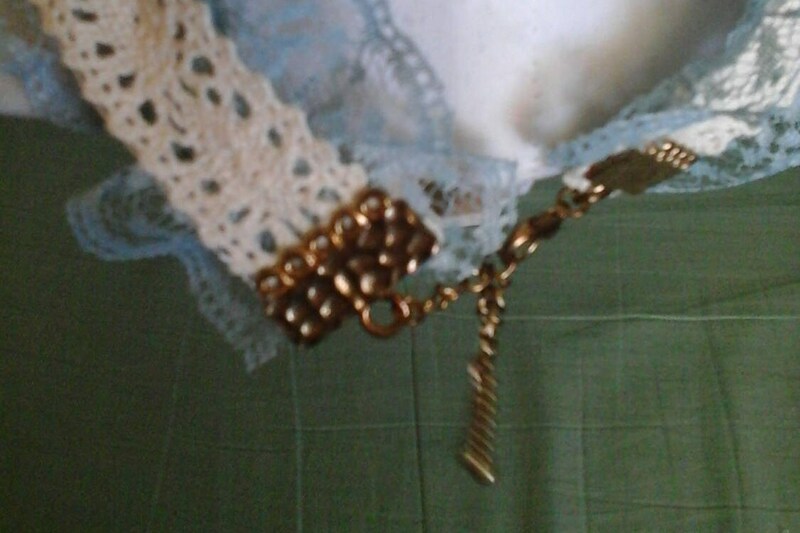 Fits large and has extension chain at lobster claw closure. Hand made, up-cycled, re-imagined. 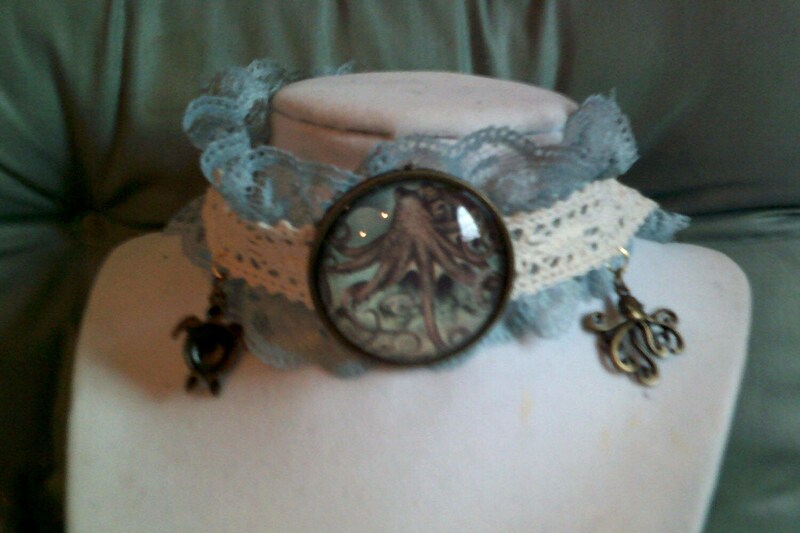 Very pretty up-cycled nautical themed, fashion accessory.